Hello my name is Christina Rasse - Senior Loan Consultant, Realtor. Whether you're buying, selling, refinancing, or building a commercial property, you have a lot riding on your Real Estate & Loan Specialist. Since market conditions and mortgage programs change frequently, you need to make sure you're dealing with a top professional who is able to give you quick and accurate financial advice. As an experienced Realtor and Mortgage Loan Consultant, I have the knowledge and expertise you need to explore the many financing options available. I am an experienced Commercial Real Estate Agent and Loan Consultant. Ensuring that you make the right choice for you and your family is my ultimate goal. And I am committed to providing my customers with Realty & Mortgage Services that exceed their expectations. I hope you'll browse our website, check out the different loan programs we have available, use our decision-making tools and calculators, and use our secure online application to get started. After you've applied, I'll call you to discuss the details of your loan scenario, or you may choose to set up an appointment with me using my online form. As always, you may contact me anytime by phone, fax or email for personalized service and expert advice. 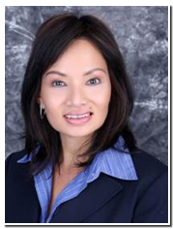 Hello my name is Jeannie T. Hoang - Senior Loan Consultant, Realtor. As a licensed CA Real Estate Broker, I can assist you with the purchase of Commercial or Residential real estate. I am also a trained and experienced Commercial Mortgage Loan officer specializing in Owner Occupied and Investment Owned Commercial Real Estate. Whether you are purchasing, refinancing or constructing commercial properties, I can help you find the optimal rates and terms to meet your objectives. We can finance most any commercial property type so please contact us with your particular scenario. I hope you'll browse our website, check out the different loan programs we have available, use our decision-making tools and calculators, and use our secure online application to get started. After you've applied, I'll call you to discuss the details of your loan scenario, or you may choose to set up an appointment with me using my online form. As always, you may contact me anytime by phone, fax, email or skype for personalized service and expert advice.